Face of Christ tapestry based on the Shroud of Turin which is believed to be possibly the burial cloth of Jesus. Here we see Christ's face with beard. It is debated whether the shroud of Turin was captured from Jesus by Saint Veronica on his way to Calvary or was obtained after his crucifixion. 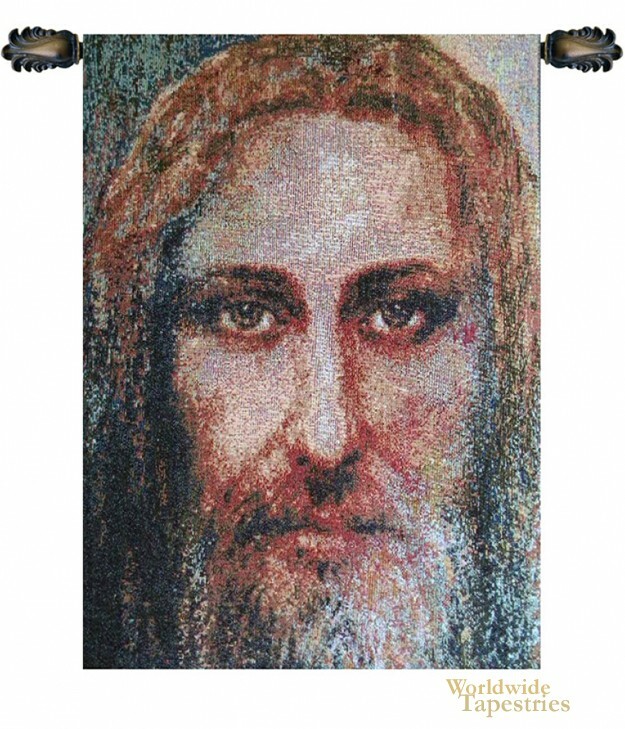 This Face of Christ tapestry is backed with a lining and a tunnel for easy hanging. Note: tapestry rods and tassels, where pictured, are not included in the price. Dimensions: W 17" x H 25"